Aung Chi was only five feet six inches tall. 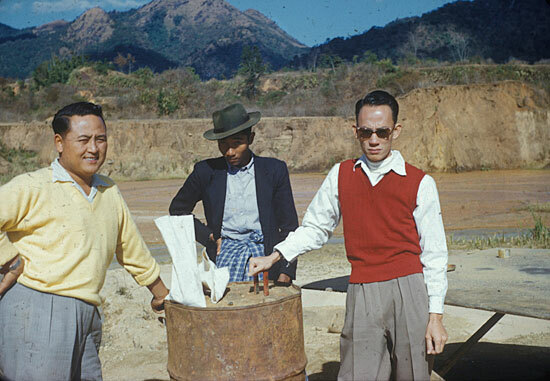 His facial features and particularly his high cheekbones were typically Burmese. He weighed no more than a hundred pounds. His wife, a little darker skinned, was much heavier and in the flowered silk sari she wore, seemed twice his weight. She also had the typical Burmese features. I arranged for a double room in a nearby hotel for only one night as Aung Chi and his wife were in a hurry to return to Burma as soon as possible. It wasn’t until after I had made all arrangements for them that they [began] to relax. He told me that takeover by the military government of Ne Win seemed imminent and the situation in Burma was worsening from day to day. There was already talk of nationalization of all banks, industries and even mining, but so far they were only rumors. No one really knew what was going to happen. Later in the evening my wife and I took them to Farmers Market [in Los Angeles’s Fairfax district] for dinner. Mrs. Aung Chi had a desire for only Chinese food. The kitchen of the Chinese restaurant at the market was open and all the food being cooked was visible. Thus, Mrs. Aung Chi was able to make her choice easily. That evening from our home I made plane reservations for them for their return to Burma. They had sold most of their gems before reaching Los Angeles. All they had left were eight hundred carats in peridots of very poor quality, which I bought for only one dollar a carat. They also showed me a fine gem faceted ruby of about seven carats. They hadn’t sold this stone as they were holding out for a price much greater than its value. Since this was their last chance of selling it before returning to Burma, I was able to buy this gem at a reasonable price. Aung Chi advised me if I wanted to come to Burma once more this was the time. He was certain that with the military government takeover all travel to Burma would stop completely. Again I had to make the necessary financial arrangement, which took about one month. I cabled U Khin Maung to meet me in Rangoon the following Tuesday. 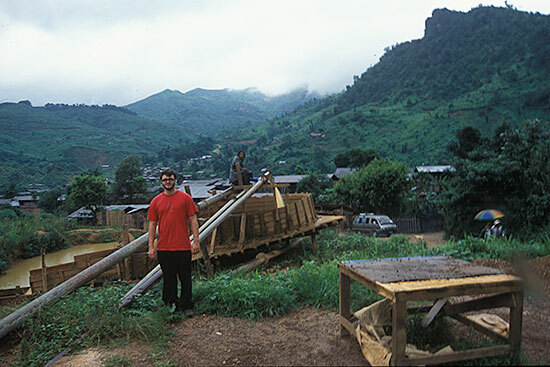 This was my last trip to Burma. When I arrived in Rangoon, U Khin Maung again showed me the U.P. release regarding the Esmerian-Cartier clipping from the New York Times which was reprinted in all Rangoon papers and, of course, also reached Mogok. Although no names were mentioned, everyone knew this famous sapphire. During all my years of travels I shunned publicity about the gems I brought to Europe and the U.S.A. mainly because of the safety factor. But whenever publicity did appear about gems valued at millions of dollars, that [news] came in to the U.S.A. Upon investigations by experts, it usually turned out their value was something like a few thousand dollars. The public, however, liked such stories. I had to stay a few days longer than I intended in Rangoon as U Khin Maung had much difficulty in getting the papers necessary for my trip north to Mogok. It seems that even those with ministerial ranks did not want to take the responsibility. He finally succeeded in getting permission for a two week stay in Mogok. Everyone in Mogok wanted to know about the 1090-carat sapphire. This publicity, and also the uncertainty of what was coming next, made purchasing of important gems almost impossible. Also, lately the Burmese customs had become very difficult not only on arrivals but also on departures. Indian merchants, both men and women, were the real scapegoats. Upon leaving Burma they were taken into small rooms where they were compelled to undress completely and examined for possible smuggling of gem stones. I personally have never had this experience but many dealers had to go through this undignified ordeal. General Ne Win came into complete power of all of Burma in March 1962. But long before the changeover a new currency was issued in Burma. One thousand-kyat notes were sold for less than 250 kyat. The banks limited the time for the changing of the large notes and I understand that many 1000-kyat notes were just burned. Officially one dollar equaled 4.72 kyat. Those dealers that had built nice homes in the past few years were becoming very restless. 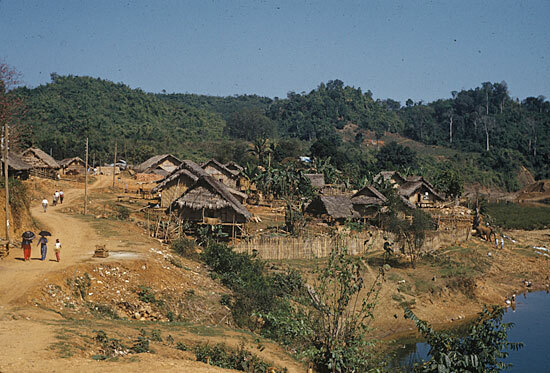 When I first came to Burma there was not one home in all of Mogok with modern bathing and sanitary facilities. By the end of 1961 there were at least eight. U Ba Mhi was the first casualty in Mogok. He was jailed for 2½ years without trial and later released. Many other prominent dealers, mostly the younger ones, were also jailed and held for long periods of time without trials. It was not the same Mogok I once knew. I finished my business quickly and left Mogok for Rangoon. A. C. D. Pain and Julius Schiff both left Burma during this period. In March 1962, all banks and import and export firms were nationalized. 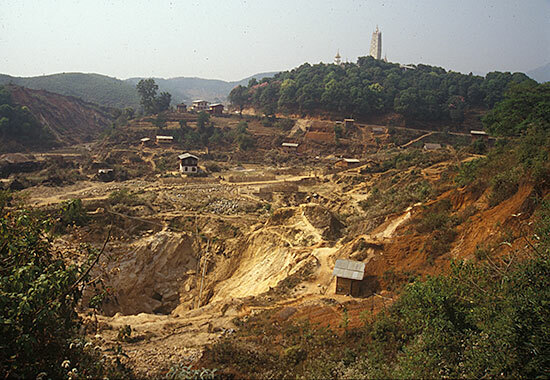 At first the miners in Mogok were left alone with the exception that any stone above the value of 5000 kyat had to be sold to the government purchasing agent stationed in Burma. Finally all mining was also nationalized. For the past few years the government of Burma has held yearly auction sales in Rangoon in a newly built Russian Hotel. These sales are held by invitation only and everything is sold to the highest bidder. Seldom are any fine gems offered at these sales, however. The cultured pearls from the lower Burmese peninsula were the finest in all Asia, and whenever offered for sale at these auctions brought the highest prices. Some Japanese cultured pearl experts started this venture years ago. Now even these people were forced to leave. 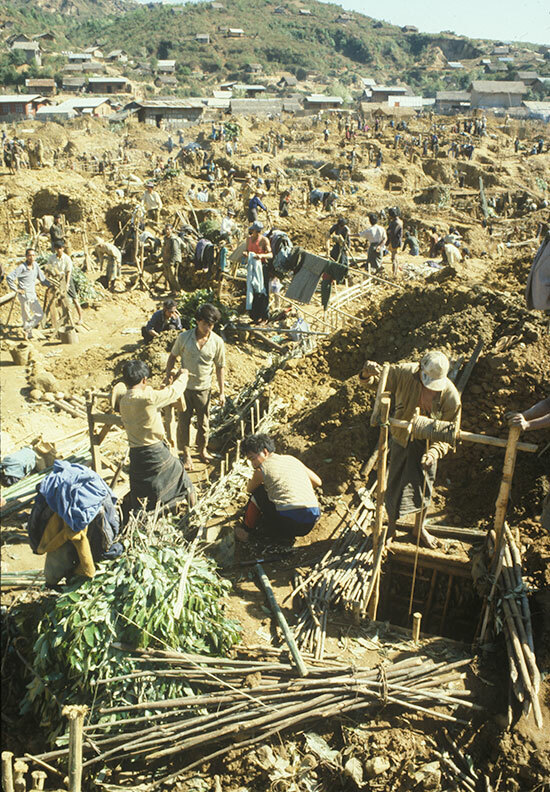 The pearl industry in Burma is no longer of interest. The only gems offered in these sales were of inferior quality and prices asked were above world market. Only the cheapest gems were sold at each auction. The balance was then offered at the next sale at reduced prices. Whether these auctions will continue will be determined by the authorities in Rangoon. If you want to go to Burma now visitors’ visas are issued only for 24 hours. No permission is given to go to the interior of Burma. Because of the situation, my final trip to Burma came to a sudden and abrupt end. I decided to stay in Switzerland and clear up as much of my business affairs as possible. I worked hard with my broker and we sold a good amount of the accumulated goods. Of the larger gems, I still had the beautiful 52-carat star sapphire and the 30-carat ruby. We had many offers but not enough to make a decent profit. My Swiss agent who was in partnership with me in the ruby then with my consent decided to give it on memorandum to a very reliable jeweler. This was not a good time to sell large stones. I shipped the star sapphire to New York. A year later the 30-carat ruby was finally sold at a very modest profit. Had we held on to it one year longer, we would have done much better. Business picked up considerably and suddenly there was a demand again for larger gems. But you can never sell one gem twice. 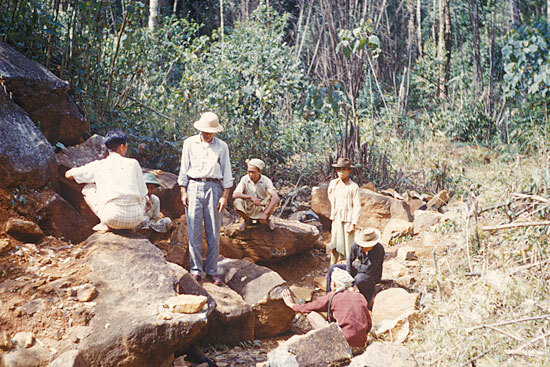 See also Martin Ehrmann’s “Gem Mining in Burma,” a reprint from Gems & Gemology, Spring 1957, which covers much of the same ground, but which includes many photographs of the people, places, and activities discussed in “The Ruby Mines of Mogok.” It also provides a snapshot in time, dwelling on natural and social aspects as well as the safety challenges—aspects that were touched on lightly in Ehrmann’s manuscript.